New fringe photos and some fun numbers! Happy Birthday! Cute dress and Baby. Happy birthday, darling! Here's a big number for you, I'm turning 44 this month. ARGHHHHHHHH!!!!!!! Congratulations on the bangs, I really like them! Congratulations on the new niece, she looks really cute (and really blond) and a lovely dress you made her too! And congratulations with your birthday! My 31st is coming up in 3 weeks! Thanks so much Wendy...I hope you have some cool plans for your 31st?! Happy birthday! The bangs look fantastic and your new niece is so sweet. Thank you for the motivation to sew some of my vintage treasures. Thank you and I'm so pleased you're on board with the Vintage Sewing Pattern Pledge! Thanks Sabs, the weather really did spoil me...not! Haha! Beautiful baby niece and dress :) and cute bangs! Happy, happy birthday! Here's to many many more! So pleased to hear that!!! It looks great, and happy birthday! Glad you stuck to your guns, as I mentioned in my last comment it only needed to be a tad longer in my opinion.Absolutely gorgeous and suits you to a tee. I think you were totally right, thanks! Happy birthday! And I think your fringe looks great! Happy Birthday! The fringe looks super cute and so is the baby! Happy birthday! Mine is in a few weeks too eek!! Oooh, happy birthday to you in advance!!! Whilst I may dislike short fringes, I think you have found a style that suits you very well. Happy birthday for yesterday! 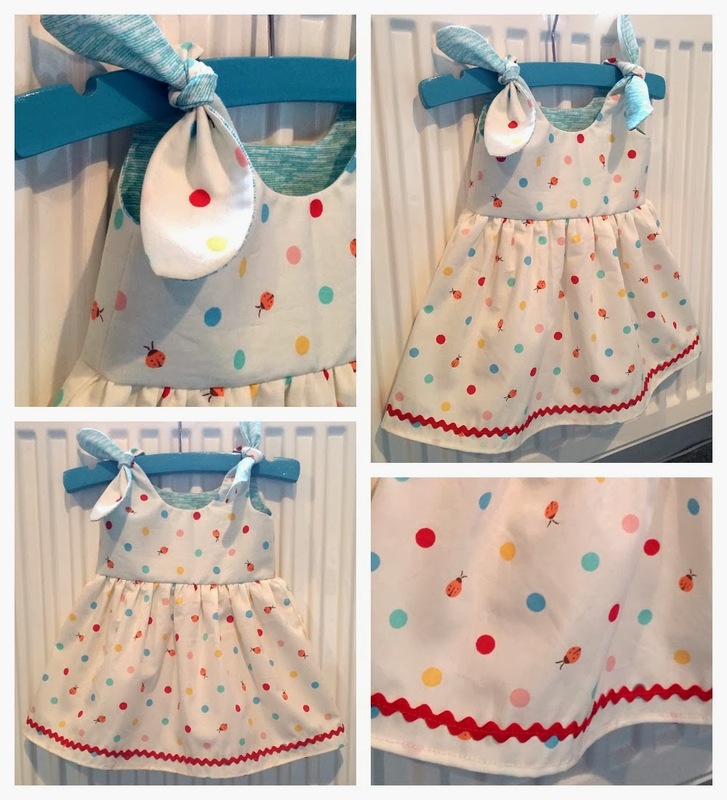 Thanks Sam, making little dresses really is fun! Hah, you've made my year...THANK YOU!!! you chose brilliantly, birthday girl! happy happy! Happy Birthday! The fringe is fab! Happy Birthday! Love the new bangs! Happy (belated) birthday! The haircut looks incredible! Your new niece is a lucky little girl to have an aunt as talented as you! The dress you made her is ADORABLE! Aaaw, thank you! I'm sure in years to come she'll complain about the handmade dresses aunty Marie insists on making her! Hah! Thanks Lynne, it was great! Happy birthday, sweet girl! Hope you had a wonderful day! I love the hair- the little curve looks great! And your niece is so beautiful! Love the fringe/bangs, birthday girl! xoxox! Happy Birthday! Your fringe looks great and your little niece is adorable! What a great little dress too! Happy Birthday!! Your hair looks fabulous :) And the itty bitty dress does, too! I think the longer fringe is very pretty! Happy Birthday! What an adorable baby - so sweet. I have fringe too (or as I call them, bangs). I've had bangs since I was little but grew them out last year. It took me a whole year plus but during that year I kept thinking it would get better. Well after I saw my new driver's license, it didn't so I chopped them off and went back to bangs. Whew! I felt better :) I'm glad so many people are doing the vintage pattern challenge. I can't wait to get started! Bangs forever, I say! ;o) I too am over the moon with the response to my Vintage Sewing Pattern Pledge! Happy birthday. Lucky niece, her dress is too cute for words. That's a lovely picture of you both. Happy birthday to you, Marie! (And well, to your little niece too, lol!) What an adorable dress you made her. And I love the fringe!! Thank you Tasha, you're so kind!